Traditional thread measurement requires multiple devices and expert interpretation that frequently stops production altogether. 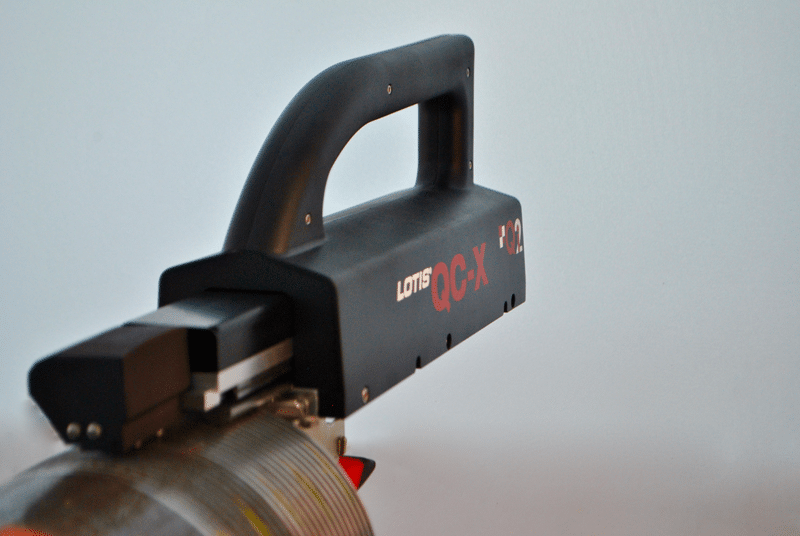 LOTIS® QC-X thread-profiling system uses rapid, non-contact laser scanning contained in one portable device. 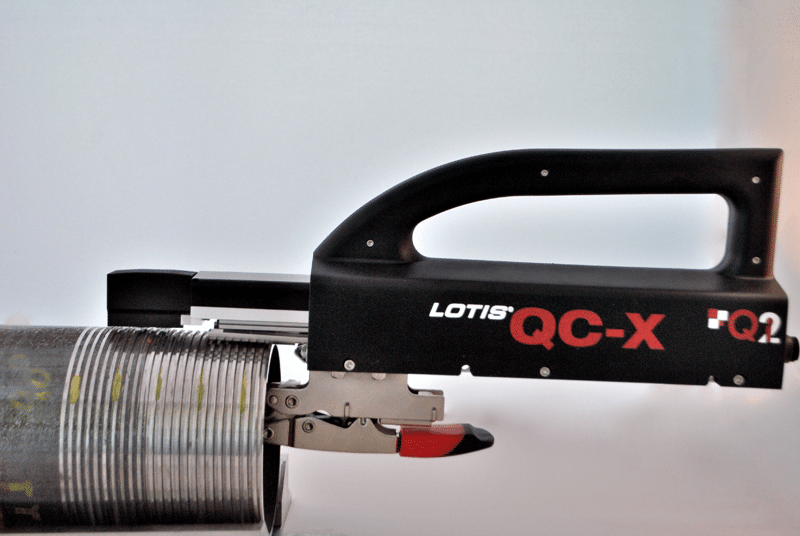 Necessitating no special operator skills, LOTIS® QC-X optimizes thread cutting process control and increases the frequency of First Article Inspection (FAI) in a self-contained, user-friendly system. 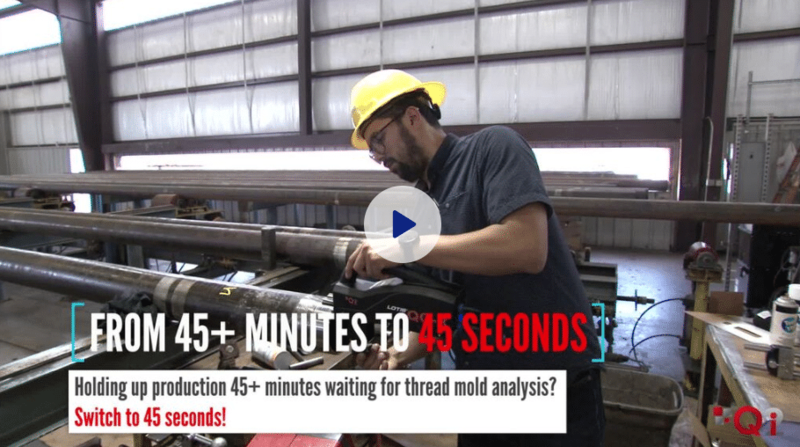 In a 30 second scan cycle, the revolutionary thread measurement system obtains nearly instantaneous data on thread pitch, thread height, flank angles, bore taper, and corner radii with an accuracy of +/- 0.00023”. The application of this advanced laser measurement system reduces inspection cost, time, and error in interpretation for improved quality control.